Wintertime is the perfect time of year for taking in a show. 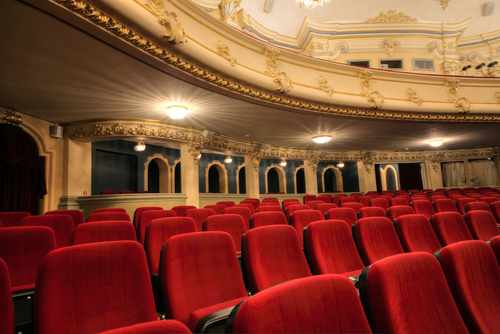 Whether you’re into comedies, musicals, dramas or all of the above, there are a number of theaters near your Canvas Valley Forge apartment to help you satisfy your theater itch. Centre Theater: The Norristown theater, located 4.5 miles from your Canvas Valley Forge apartment, features a 100-seat main theater as well as a 40-seat “black box” venue for smaller shows. Because of its smaller size, shows at Centre Theater are often intimate and more engaging than productions at huge theaters, making for a unique theater-going experience. Centre Theater features shows year-round and is kicking off 2018 with a one-night-only performance by Phil Forrence on Jan. 6. A violin performance is schedule for February and Broadway hit “Avenue Q” is headed to the theater in May. Theatre Horizon: Located 4.5 miles from your Canvas Valley Forge apartment, Theatre Horizon is one of the centerpieces of the Montgomery County arts scene. It is only one of 12 companies nationwide to have won the American Theatre Wing’s National Theatre Company Awards, which speaks to its passion for producing high-quality shows. In February, the company takes on “The Revolutionists,” a French Revolution-set comedy about four women who set out to change the world. “Peter & The Starcatcher” and “2.5 Minute Ride” round out this season. Methacton Community Theater: For more than 40 years, Methacton Community Theatre, located about 5 miles from your Canvas Valley Forge apartment, has provided entertaining and educational theater. The company stages five productions a year, varying the lineup to include plays and musicals. This season kicks off in March with community-theater classic “The Battle of Shallowford.” Big-name shows like “Beauty and the Beast” and “The Hunchback of Notre Dame” are among the rest of the season’s stand-outs.